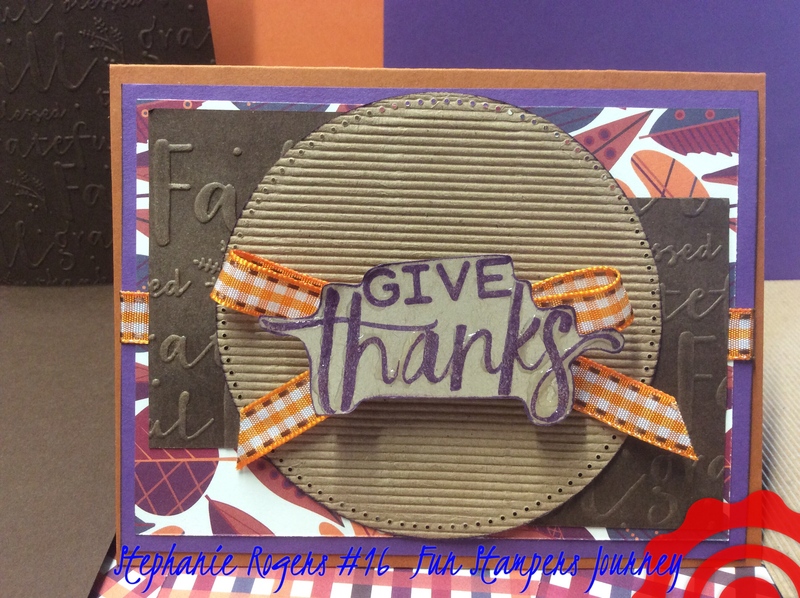 What better and fun way to share the Thanksgiving Holiday than to send special cards to family and friends far away. All product used from Fun Stampers Journey. 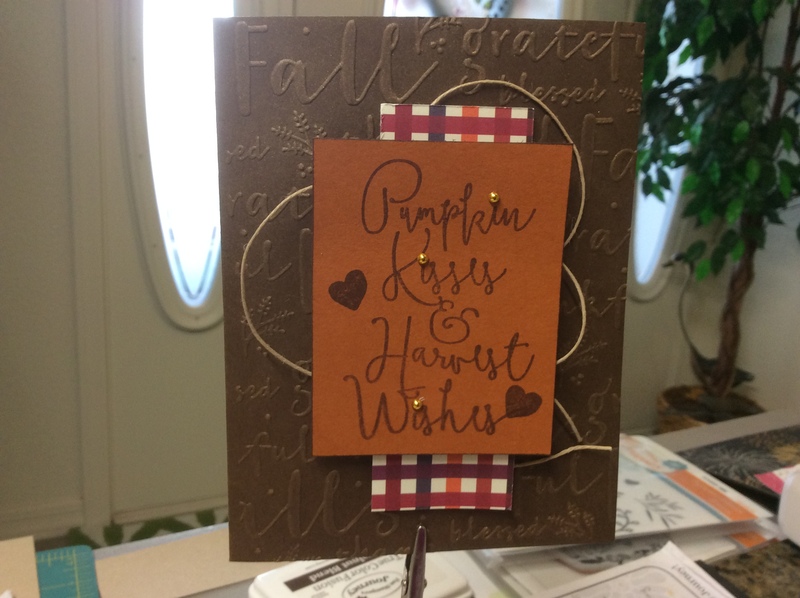 Cardstock: Pumpkin Bread, Deep Lilac, Hazelnut Blend, Oatmeal Cookie and Fall pages from Through the Year Prints, Corregated Stock. Accessories: Pan Pastels: Light Gold, Pumpkin Patch Ribbon, Journey Glaze, Medium and Small Foam Squares, Journey Craft Glue. Accessories: Journey Twine Natural, Pan Pastel: Light Gold, Fashion Gold Dots AC-0292, Medium and Small Foam Dots, Journey Craft Glue, Journey Glaze.